We reviewed Cruzan’s latest foray into the flavored rum market and were thoroughly impressed with its balance. 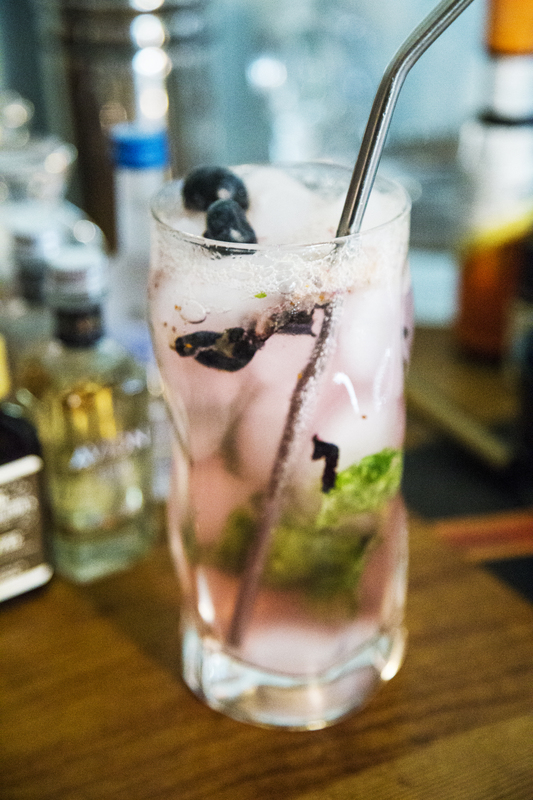 Muddle the basil and blueberries in the bottom of a highball glass with the lemon juice. Fill the highball glass with ice and then top with the rum and tonic water. Stir well until the muddled bits are up off of the bottom of the glass, then garnish with the fresh blueberries.